I’ve been a huge fan of Caribou coffee for so long. I’d always go out of my way to find one of their locations. Not always easy. They’re not everywhere like Starbucks. Lucky me, I live just outside Eden Prairie, Minnesota. We have a few! And I’ve always been super proud that Caribou coffee got its start here in our state. But these days I find myself less likely to go out of my way to find a Caribou Coffee location. I’m happy to try some place else. Took me a while to put my finger on it, but I just don’t think the coffee is as good as it used to be. I know a couple of times I got coffee at a drive thru and it tasted a little bitter. I’m not saying their coffee is bad. It’s just that I remember it being super-good… and now I think it’s just Ok. Not great but OK.
Has anyone else had the same experience? 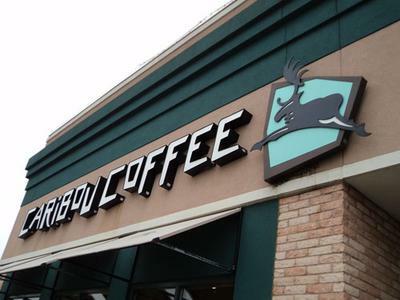 has Caribou Coffee gone bad? Unfortunately, I’m a LONG way from the nearest Caribou Coffee shop! So I can’t give you my first-hand experience. That said, I can say that over the years we’ve had a lot of people write in and express the same concerns about other coffee shop chains. It’s a common story. A coffee shop or brand that was once truly amazing has somehow lost its way and is now either just OK… or worse. Maybe some of it is subjective. As coffee lovers we fall in love with coffee from a particular place. A “new discovery”. Perhaps we get overly enthusiastic about the taste. And when the first flush of love fades, we realize the coffee isn’t so amazing after all! But I think stuff happens in real life too. When a coffee business is launched, the founders are super-pumped and focus a great deal on quality. It’s their passion, and they make sure the coffee is the best it can be. Then the business grows, maybe changes hands, maybe has an IPO. And suddenly the place is no longer about passion. It’s about profits. And the new management cuts a few corners. They source cheaper beans. And so on. I think this happens all the time. So yes, although I’ve never tried Caribou Coffee myself, it wouldn’t surprise me to discover that the quality has slipped from how it was back in the early days of the brand.